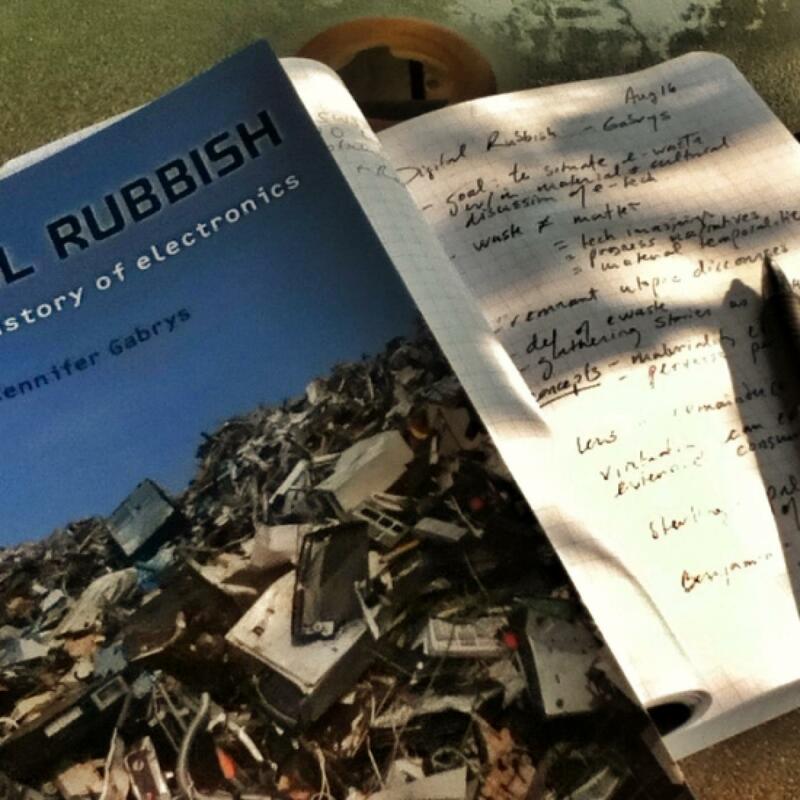 I'm reading Jennifer Gabrys's Digital Rubbish: a Natural History of Electronics -- one of the best reads ever! She argues for a natural history approach -- channelling a variety of theorists like Sterling, Foucault, Benjamin, Kittler, McLuhan, Acland, Butler and Zielinski -- to situate e-waste within material and cultural discussions of e-tech. Gabrys expands the definition of waste: it's is not just matter, it includes technological imaginings, progress narratives and material temporalities. She demonstrates this through a natural history approach that relies on gathering stories, as method. She focuses on 'remainders' and argues that virtuality can enable even more extensive consumption and wasting. She also discusses obsolescence and the ways in which decay and discarded objects force us to reevaluate the material present. Together these counter the idea of progress and the logic of onward and upward. Materiality effects are indicative of the economies and ecologies of transience that course through technologies, and the cultural and political contexts through which they circulate. Materiality effects also highlight a complex set of material processes and relations, especially the speed and volume of the cycle of production, consumption and disposal of e-tech. Jennifer Gabrys's Digital Rubbish: a Natural History of Electronics is available for free online.